Why we are still putting highly toxic, formaldehyde and VOC filled insulation in our homes is beyond me. There are many new options that claim to be "green" "soy-based" or are formaldehyde-free - this does not mean that they are VOC-free. Look very closely at what's in it. Flame retardants are not counted as VOCs. GreenGuard Gold may or may not be good enough for you. This post contains Amazon and Ebay affiliate links. This post is not sponsored by any of the companies on the list. Wool is made into batts and you can get an R-13.7 (3.5 inches) for $3.54 per square foot, plus shipping (from Florida. Ships to Canada as well as the US), and installation, from Good Shepard Wool. A commenter below has stated that Good Shepard Wool uses a latex binder (in 2013), when I asked the company recently they said they use a polyester binder. Jeff of Safe Shelters has looked into Oregon Shepard batts and found that they add boric acid, sodium pentaborate decahydrate and a proprietary formulation using a natural protein. Black Mountain adds recycled polyester and borate. NatuWool is 95% wool with 5% polyester binding and treated with borax. Some of these companies declined to comment on if they have updated their additives as of 2018. The purest options here will be the blow-in wool insulation with one extremely sensitive person doing well with Oregon Shepard blow-in and another extremely sensitive person found Havelock loose fill had "no smell". I tested Havelock and found that it did have a very wooly smell. The natural oils of the wool have a smell that may not be okay for many sensitive people, although it is not an additive or chemical smell. Paragon wool is another good brand that claims they don't add anything unless you request one of the natural moth repellants. AirKrete is a cementitious blown in insulation that claims to be VOC-free. It has passed the "sleep next to it test" of many a MCS patient. The company, however, has declined to participate the industry standard VOC test as well as the proper R-value test, so there is some doubt around this product's claims. We don't know what the undisclosed 2% of this product's ingredients are. Because it is a foam, it will get into all the cracks and crevices and therefore give you a higher "real life" R-Value than the batts, although people have reported shrinking, crumbling and trouble drying. You can get it in the thickness that fits your wall. In a 2x4 wall, you will get about R-13 for 3.5 inches. Here is the source for the concerns. Recycled cellulose is another option often slated for those with a chemical sensitivity. 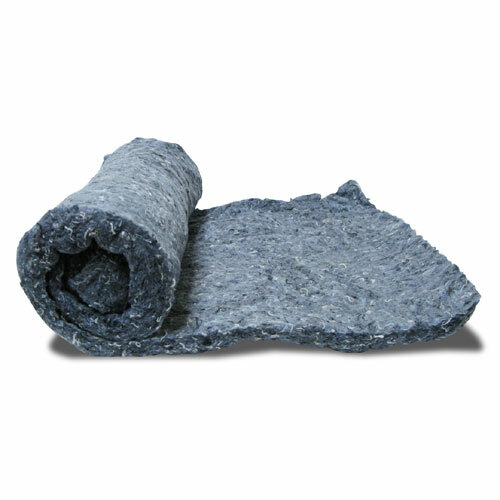 It is a blown-in insulation made with recycled newspaper that contains a fire repellant like boric. Lowes, Home Depot and Rona all carry separate brands and you should look into the ingredients of the one that you are considering. Newspapers are now supposedly made with soy-based inks that are not irritating to the chemically sensitive. Dense packed cellulose is often used in Passive Houses, which have great attention to details around moisture management and green materials. It is the least expensive option of the four, and it has an R-Value of 13.3 for 3.5 inches. 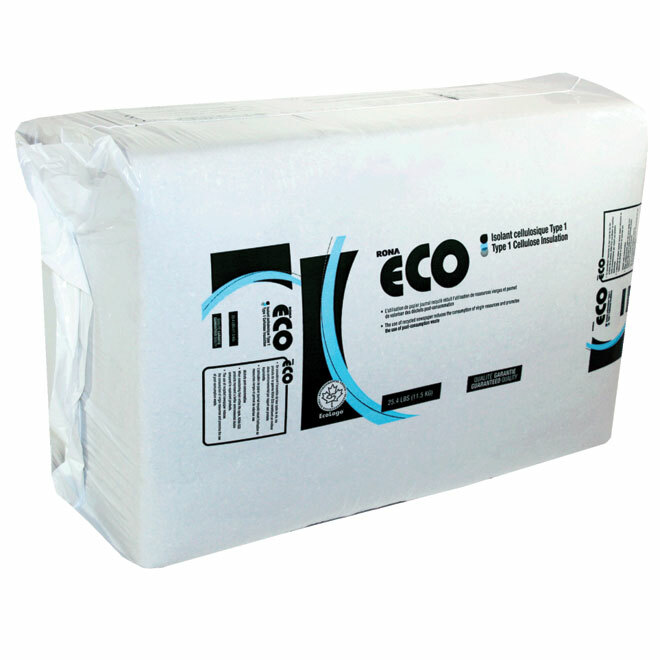 Ecocell makes batts that are a mixed of cellulose and cotton. It also contains PET plastic, very small amounts of boric acid, as well as sodium poly borate and ammonium sulfate. You can find this insulation without ammonium sulfate, that may be special order. 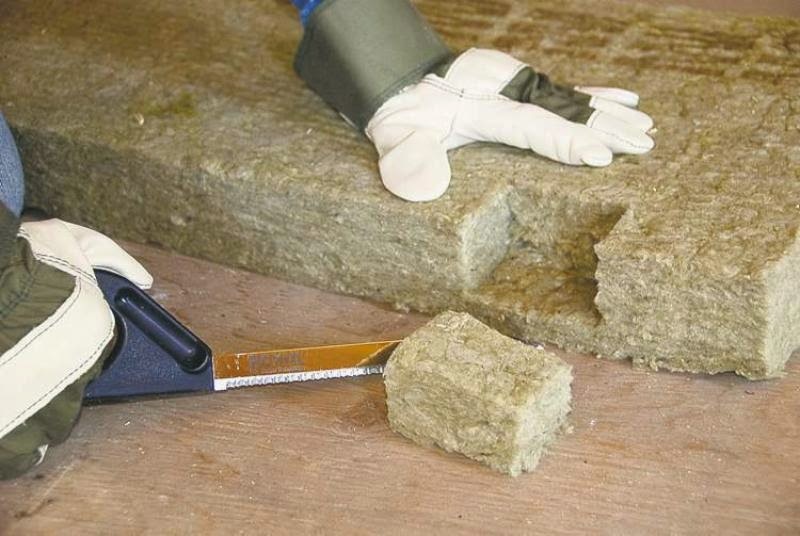 Hemp insulation is a newer green option that I think is really promising. There are a few companies manufacturing it now, and one to check out is Thermo-Hemp. NatuHemp is another onenow available in the UK and Canada. Canadian NatuHemp which can be shipped within Canada and the US is made of 88% hemp fiber and 12% polyester fiber, with no chemical binders and no off-gassing (they claim). Sunstrand is in the early stages (in 2018) of producing hemp insulation for the general market in the US. The binder is unspecified/proprietary. 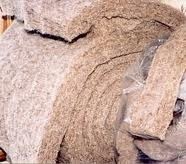 Another hemp (with flax added) insulation available in the US is Breathe. The flame retardant is unspecified. Ask them what they add to it apart from hemp - alternate fibers, binders, flame retardants and if it's organic. And always test a sample first! Expect to pay twice the amount compared to fiberglass insulation. If you prefer to watch a vide on the three rigid foams I made this video to explain the toxins in them. EPS and XPS insulations were both treated with the flame retardant hexabromocyclododecane (HBCD) until recently. Dow Styrofoam and Owens Corning Foamular insulations no longer contain HBCD. Many are now using a butadiene styrene brominated copolymer. (Source). If using EPS in a tiny house I would recommend borate treated foams to prevent ants. All of these foams have no odour and most sensitive people do not react to them. EPS usually uses pentane as a blowing agent, the final product has trace amounts of pentane which dissipates rather quicky and so even as it breaks down it does not offgas further. EPS despite the name (polystyrene) does not offgas styrene. It is considered 0 VOC (pentane and styrene are not exempt VOCs and the flame retardants are considered non-volatile). The concerns over polystyrene (Styrofoam) and styrene comes from few things a) chemicals released during the manufacturing of the product b) the product is very toxic if you burn it and c) the styrene can leach if you drink beverages especially hot or very specific beverages out of Styrofoam cups. In the form of insulation, I would consider this product to be non-toxic, 0 VOC, odourless and stable, with the only risk being non-volatile flame retardants. This is a very old product with a long track record, here are a couple links to info on it. 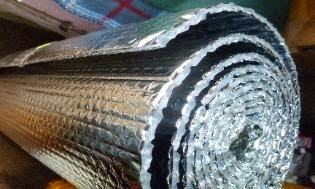 The foil faces of these insulations block the flame retardants if they are sealed up. XPS and polyiso both have some "thermal drift" (the blowing agents offgas) over time. The foil side on the polyiso will protect you from this. As for XPS: "over a long period of time (50 to 75 years), the blowing agent slowly diffuses through the thickness of the foam". Typical blowing agents for XPS are CFC-12, HCFC-142b and HFC-134a, but they change their formulas over time. HFC-134a will be eliminated from extruded polystyrene by January 1, 2021. Typical current blowing agents for polyiso are CO2 and pentane. I consider this offgassing to be very minimal and I still think this is a good insulation for a non-toxic house. Flame retardants are sometimes considered non-volatile and sometimes semi-volatile and are found in dust form and can be absorbed through the skin (depending on the chemical and its bond with the product). EPS used in packaging and cups, does not contain a flame retardant, and people have sometimes been able to source this type of foam for small structures. For use in a tiny house, foams have the advantage of having a high R-value and being light. All three foams have a high insulative value compared to batts or cellulose. 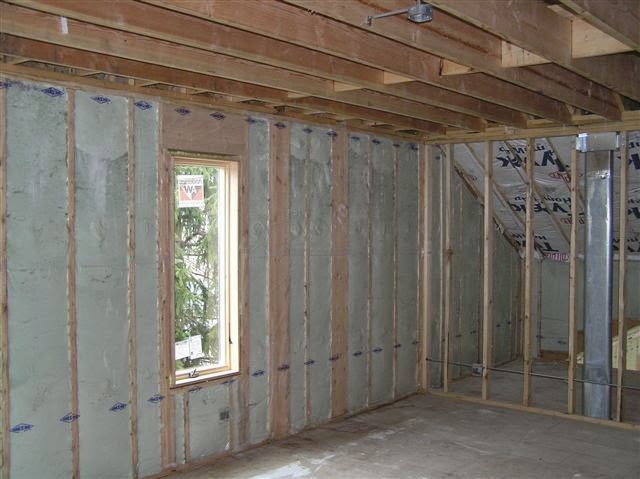 In a 2x4 wall, you will get 3.5 inches of insulation at about R-19 for XPS, R-14 for EPS. Polyiso comes in at around R-20.5 but is dependant on the thickness of each layer, the brand, and it loses R-value the colder it gets. 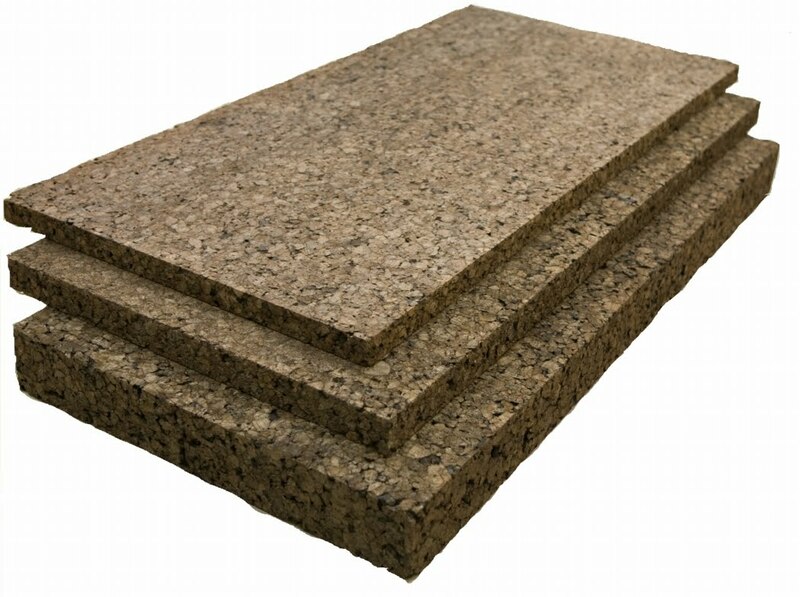 Thermacork insulation, unlike cork flooring, does not contain adhesives. It is held together by compressing it with heat which releases a natural binder in the cork. The cork, therefore, gives off a smoky smell as well as the natural smell of cork. This is a newer product in North America and is more expensive than the more conventional options. It can be used as the facade of a house which serves the purpose of siding, insulation and noise reduction. See this post as an example. The R-value is about R-13 for 3.5 inches. 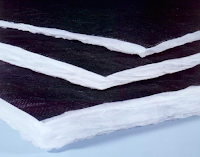 Roxul is the most common and accessible mineral wool insulation. They have a new version that does not contain formaldehyde, but it has a proprietary binder. The ones that do contain phenol formaldehyde should cure completely within a few months max (probably much less). I would suggest trying both options. It is mould resistant. I did get a rash from handling it where it contacted my skin but I did not pick up a smell/offgassing of formadehyde. 3.5 inches is R-15. You can find this at hardware stores across the US and Canada. Thermafiber by Owens Corning is another brand that is formaldehyde-free. American Rockwool is a brand which is harder to source. The company claims no chemical additives or binders. R 14.5 in a 3.5 inch wall. They also have a blown in option. These insulations have good soundproofing qualities. There are a number of fiberglass insulations that are very low in VOCs. EcoBatt by Knauf was recommend by someone who could not tolerate polystyrene, cotton or wool. It is made with a "natural" binder and does give off a small amount of formaldehyde, phenol and ammonia (source). Owens Corning Ecotouch Fibreglass insulation has GreenGuard Children and Schools certification which was the best GreenGuard certification for low emissions (now rolled into GreenGuard Gold) the binder is formaldehyde-free and "made from widely available plant materials" according to the company. Certainteed's Fiberglass insulation is also made with a plant-based binder. 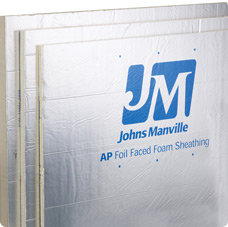 Johns Manville Fibreglass insulation is GreenGuard Gold and uses a formaldehyde-free acrylic binder. We don't know much about what these binders actually are but by looking at this patent you can tell that the biobinders look mostly safe however it's hard to zero in on what it is. There are some preservatives there and when they use a biobased binder it looks like they are adding a biocide as well. Fiberglass insulation is made with boron but I don't see any other flame retardant added, especially in the bats that do not have paper backing and spray in. 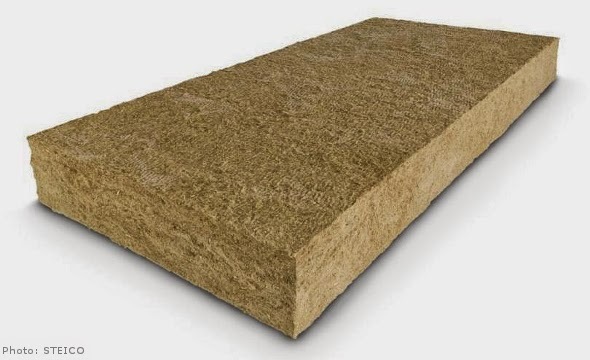 Wood fiberboard is often used in High Performance/Passive House designs. One popular brand in North America is Gutex. It is 95% wood (spruce/fir, post-industrial, recycled and new wood), 4% polyurethane and about 1% paraffin. Total VOC level of 187 μg/m3. Reflectix is a bubble foil made of aluminum and polyethylene. It is flexible, very thin and claims to have a very high R-value. The thicker version claims R-21 (which is higher than 5 inches of wool). These claims are disputed by Green Building Advisor and the Government of Canada. The former states that the 3/8th inch foil has an R-value of only 1 (the same as a single pane of glass). This would hardly be useful anywhere unless it is in a curved trailer or other RV or vehicle where all other options have been ruled out. Prodex is another similar material, foil and polyethylene whose R-value is disputed. Aerogel is a fairly new product for home insulation, usually used in RVs. The term itself can refer to a variety of materials ranging from silica, to polyisocyanate to formaldehyde. You will have to check with the company to find out what they are made of and what the VOC levels are. 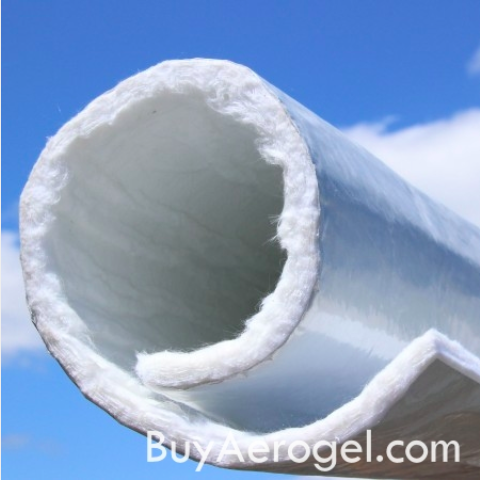 Most of the Aerogel insulations are silica based. I have seen some that I would expect to be very low or 0 VOC. This one has foil backing which would block all the VOCs if sealed up. It does give off ammonia. They claim an extremely high R-Value of R-10 to R-30 per inch. Their R-value is doubted by GBA. They are ideal for curved structures such as domes, arched cabins and curved trailers. They are also very pricey. 3M Thinsulate (SM600) is an insulation used in vans, other vehicles and RVs. It is made of polyethylene terephthalate (a type of polyester) and polypropylene fibers which will be tolerable to many. The backing is polypropylene. 1% or less of the additives are proprietary and therefore unlisted. The health rating is 0 which is good. What I don't love about this product in vehicles is that the insulation itself is vapour permeable and it is attached to the walls with 3M 90 Spray (GreenGuard certified, not GreenGuard Gold, not reported to be very tolerable). 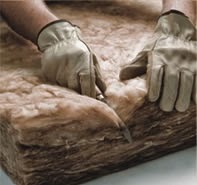 You may find this insulation tolerable and it may be a good product for a tiny house or structure. You can buy it on Amazon and Ebay. Another similar but more unusual insulation is made from polyethylene and polyester for homes. (It is more popular in some countries outside of North America.) It may be tolerable depending on what is added to it. Vacuum Insulation Panels have the highest insulation value of any of the home insulation materials. These Panasonic panels have an R-Value of R-60 per inch. They were used in the latest Leaf House design (tiny house). This would allow you to build a tiny house for almost any climate. 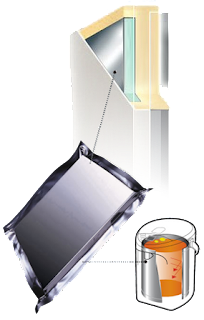 The foil vacuum pack will block any VOCs from migrating through but your moisture management system would have to be planned carefully here. Many closed cell spray foams are Greenguard Gold certified. They are polyurethane foams, some add a soy component to it. 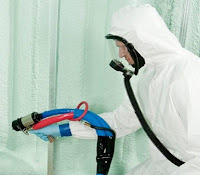 Closed cell foam is a vapour barrier and can be very a useful insulation in specific systems, especially if mould is a bigger concern than off-gassing. In theory, they do not offgas, but generally people report that they do, and that is a huge risk. While most of my clients do not want to take this risk there are certain building types where you should seriously consider it such as cargo vans and other metal structures. Keep in mind a small sample may offgass much much quicker than this foam when it is in a structure. It must be mixed and installed perfectly otherwise you have a disaster on your hands. Those moderately sensitive report it taking two years to off-gas. See the series Foam Fails by 475. Spray foam is often used around window and door. Handi Foam is Greenguard Gold and will be tolerable for some. I find this spray foam to be odourless once cured. Instead of using spray foam around windows and doors you can fill in the gaps with Backer Rod and seal with non-toxic caulk if needed. Disclosure: This post is not sponsored by any of the companies that produce insulation. As an Amazon Associate I earn from qualifying purchases through the Amazon links. Great tips here. Its so hard to find this sort of insulation in Barrie however. Any good online stores I should check out? Thanks again. Do you or Paula Baker-Laport have any suggestions for radiant barriers (metallic sheeting material for ceiling of attic)? I don't know anyone that uses them in Canadian climates but what about Denny Foil? Which of these forms of insulation could be installed using the blow in insulation? I want to use a less invasive form of insulation installation, but it would also be great for the insulation to also be green! I am thinking that the recycled cellulose is my best choice for that? Do you suggest a vapor barrier such as tu-tuff under the Eva and against the outside wall if attaching to a fiberglass shell trailer wall or on top of an aluminum tread floor? Would that help condensation? Should i apply reflectix first in order to have a better R value? That's why I mention - not for the hyper sensitive. Thanks. I will add this soon. Is there polyester insulation in Canada? It's rather popular in au and nz. But not so popula in Canada, usa and Europe. Why? Do you know? So many options!! We need to choose one for our basement. My husband wants soundproofing so we don't hear everything from upstairs. I don't want any toxins if possible. We are not chemically sensitive, just like to live as clean as possible. Can you suggest which of these will do the job for us? Ridged foam or Roxul would be god. We are currently installing Roxul "Safe and Sound" for soundproofing between some interior walls. We can barely hear a very noisy washing machine :) It's also very fire-resistant. Yes, this excellent blog is giving me hope once again that I might be able to live a chemical free life and "get my life back" once again! I can't thank you enough. We used Reflectix insulation in a trailer and two tiny homes in a cold climate with great results. It was labeled r-14 for double bubble 3/4". I believe it! It is most effective with an air gap on one side or both sides (not sandwiched tightly between two other layers.) It is even better in the horizontal position, floor and ceiling, but be careful to ventilate the room properly, because reflectix is a complete moisture barrier. I just want to say thank you for all your hard work on this blog and sharing your knowledge! I am building a house and constantly refer back to your website. I have found most the Green websites to be junk as they promote recycled products as opposed to non-toxic, low VOC. How about Rockwool Premium Plus from American Rockwool. This Rockwool has zero chemical additives. It is made as a loose fill material so there is no need to add any binders. High R value at 4.13/inch, non-combustible, inorganic and is excellent at sound deadening. Unfortunately many of us with MCS are also financially strapped and end up in toxic environments because we can't afford to live in a chemical-free home....it's not a cheap disease to have. I have half-torn-up floors in my mobile home because it would cost me nearly $10,000 USD to replace them all and I live on disability. At least I had the soft spots fixed, but it would be nice to have floors again instead of only subflooring. I can use real hardwood, real linoleum, or cork squares. None of it is cheap by any stretch of the imagination. To do 1100 square feet with underlayment, other supplies, and labor is almost as much as I live on in a year. Many of us find ourselves in similar situations. Instead, I use throw rugs to cover the worst spots and rarely have people over because it's embarrassing to have such a messy floor. However, I had to have the floors repaired or risk falling through one of the soft spots. Hi Corinne, Thanks for this incredibly valuable info! You wrote: "Instead of using spray foam around windows and doors you can fill in the gaps with Backer Rod and seal with non-toxic silicone." 1) Do you recommend one type of backer rod over another? Did you choose the backer rod in the link because it has special non-toxic qualities? 2) I'd really like to avoid the isocyanates in Handi Foam (http://www.fomo.com/Data/Sites/1/Assets/ModuleDependencies/csFomoMediaView/Media/%20A16186%20One%20Component%20PU%20Foam%20HC%20November%202015pdf.pdf). What would I lose in terms of keeping air, water, and mold out if I used backer rod and silicone instead? Thank you in advance for considering my question!! Hello. I am chemically sensitive and live in Nova Scotia. I'm looking for insulation options for my house. Any suggestions of where to start? We have mold in our home, and are going to build a tiny home in the backyard to stay in while we do remodeling and tent for termites. We will be building a "Quonset Hut" of about 425 sq feet. It is a tunnel type of structure with either teardrop or rounded roof, all made of steel, coated in "Galvalume". To prevent condensation, spray foam is recommended as an insulation. Which of these would work best in a metal building? Not sure what "moisture barriers" are in relationship to insulation, as I see people mentioning above. I certainly don't want to invite more mold growth! We live in S. Florida. I am a sensitive. Thank you! Hi, I can't give technical advice but there is a reason they suggest spray foam as it's the least likely to cause condensation if you heat the place in winter. If you don't heat the place you have more options. Consult with a building science expert if not sure. You can also read articles on Green Building Advisor which will give you the basics on condensation and vapour barriers (you have an exterior vapour barrier when you have a metal wall on the exterior with no rain screen). Would you happen to know which of these is the lightest option? Great post full of useful information -- Thanks! I happened upon your site searching for a way to winterize my windows on a budget and without the offgassing. I am sensitive to petroleum based odors. But I am entertaining the idea of using large sized bubblewrap but see HDPE is not considered a zero voc plastic. Could cover window and patiodoor with another clear product after the bubblewrap to create a barrier, but what I wonder? Any ideas would be much appreciated. It would be very unusual to react to the plastic in bubble wrap insulation. It has foil on either side. If you buy it from a big box hardware store it likely picked up other chemical odours there. They don't provide much insulation though. I called Johns Manville and asked for samples. I am ok with the foil faced board, but they also sent a few pieces of the insulation for the ceiling. It is thicker and is cardboard faced on both sides of the foam. I don't do well with cardboard odors, and this one does have the cardboard odor. So, what to use under the ceiling drywall? Depends on the type of house and the moisture management system. Which insulation are you referring to with paper backing? Has that been recommended by a building science expert for your house? No. I'm still trying to figure out which kind of building to build. We are leaning toward Structall panels construction, and that would eliminate the need for the Johns Manville. But I have concerns about EMFs and RF's being trapped in a solid metal building. So, then considered steel frame, and that would need to be insulated. Trying to figure what would be good to use in our very humid sub-tropical environment. Thank you! I meant Roxul not rodoulph, thanks spell check,! Hi, is it the insulation that is bothering you that you are trying to block? A sample may be offgassed while a new package will not be. Roxul offgasses quickly which is why it's one of my top choices. It's unusual to put an interior vapour barrier like poly. If you ever us AC you would not be able to have an interior barrier in most systems. what are the top 3 safest attic insulations?…. I find wool to be, but it's so costly. You would need to know which kind of system is needed first, to know if you need batts or foam. Blown in cellulose is often used in the attic as well but first you might need some technical advice there. I'm currently trying to research what best insulation to use for a school bus conversion. We were planning on rockwool, and then I came across the video where the gentleman mentioned it being made of slag. I don't think slag is safe. Probably doubly so in a moving vehicle where friction might cause dust some how to be released into our living area. I only recently learned about slag due to an issue with some local towns trying to save money and putting that on the roads instead of gravel. It seems to me similar to Concrete and other products where it is hazardous in dust form to breathe that in. This one has an extra component or it seems like it could be hazardous to also handle it with bare hands. It's not something I would use in a bus though. Can Roxul be blown in? I have seen mineral wool in blown in. But not that brand. Yes, it provides some soundproofing. Cork factory workers found to be sick from the dust of cork in factories: Respiratory disease in cork workers (`suberosis'). I am not sure if this would affect us after they are made into unsulation panels. Anyone know anything about it? Many products are dangerous in dust form including all wood. And cork is a type of wood bark. Concrete is harmful and dust form glass is harmful and dust form the list goes on. That doesn't mean it's harmful when it is solid.